Multi-functional, that has to be good right? Well that is what houseplants are, good for your decor and good for your air quality. I remember as a kid we had so many houseplants that the windows near the “wall of plants” would drip with condensation at times. It was the 80s, so I figured my Mom just thought it looked cool, kind of like big bangs! I didn’t know then that my parents were actually doing something good for us by having all those hanging baskets. Houseplants are actually very efficient at photosynthesis, which means they take in lots of carbon dioxide and give out lots of oxygen. This is what we want in a closed environment, like our house. To effectively make the air quality of your home better you should have one houseplant for every 100 square feet of your home. This means I need to buy some more plants! According to an article I found at www.ehow.com there are three houseplants that are not only oxygen producers but also toxin filters. The peace lily, spider plant and english ivy should be top picks because they get rid of toxins like formaldehyde, benzene and trichloroethylene. I personally kill houseplants pretty easily (apparently you are supposed to water them) but I have had luck with Aloe and heartleaf philodendron. Both of these were on the list at www.healthychild.org. I actually have had my philodendron for years and have brought it back from a wilted, withered state, just by watering! So now that the nurseries are stocked and ready for business, head out and get some fresh air, in more ways than one! 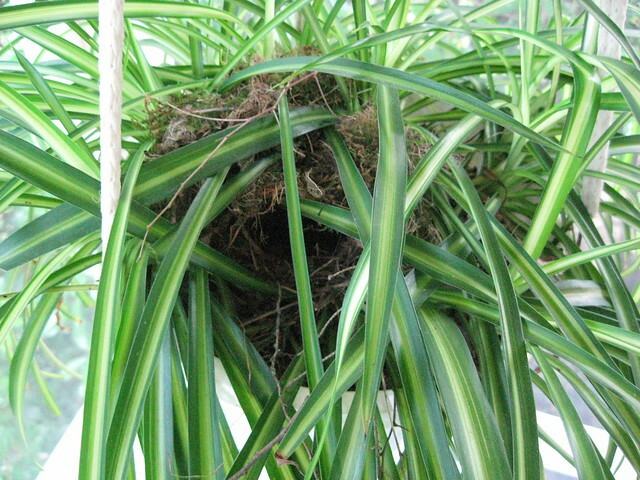 Do you have houseplants in your home? Why or why not? @rissierae, Good thought, saves money!!! I guess I could do that with my current plants……do you just cut a section and pop it in water until it grows roots? or do you need to actually transplant a section with dirt and roots? @Kara, That does sound fun, we should have done that when we had a bunny, he would have loved to munch on it!